Rebecca Schroeder is a master’s level, BCACC certified, Registered Clinical Counsellor (R.C.C.). She has been in private practice for well over a decade and specializes in marriage and family counseling. This includes individuals, couples and families struggling with depression, anxiety, parenting, marriage and other relationship challenges. Rebecca currently resides in Abbotsford, BC with her husband and three children. 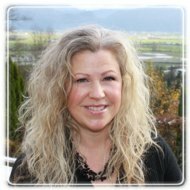 Pacific Coast Counselling welcomes Heather Towes- our newest lntern therapist for reduced fee of $40/hr. Heather Toews is a 2nd year Masters of Clinical Counselling student at Trinity Western University and holds a Bachelor’s Degree in Social Work. She has been practicing in the area of social work for more than 12 years and has taken a special interest in trauma-informed practice, attachment, adoption, parenting support and strategies, anxiety and depression. She has worked with children, youth, couples and adults and strives to be systems oriented, recognizing that we all operate within the frame of our world around us. She endeavors to help individuals and families find meaning as they navigate the complexness of life. Heather is a Level 1 certified Gottman therapist (couples counselling), is trained as a Complex Care and Intervention Coach, and designed and is teaching a parenting program for parents with children with attachment and behavioural difficulties. Heather resides in Abbotsford with her husband and is a recent empty nester.